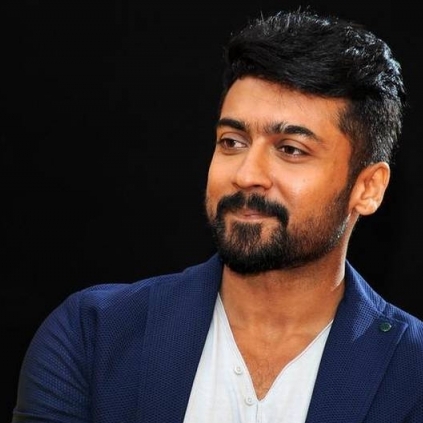 Suriya fans have celebrated their stars big milestone, and Suriya thanked everyone on twitter, "The last 20 years of my Cinematic Journey was about attaining the unachievable. Yet you made it possible for me. Your applause .....! Your applause motivated me to raise my bar, your thumbs down helped me to learn better, your support drove me to go beyond cinema (Agaram Foundation) above all your love kept this engine chugging. Here I owe my life for the last 20 years of my travel and for the many more miles I need to make. Thanks one and all." MASSIVE: A HERCULEAN, SPECIAL ACHIEVEMENT TODAY FOR ACTOR SURIYA! Today marks an incredible achievement for actor Suriya. With this year 2017, he completes 20 years in Tamil cinema. His Nerrukku Ner directed by Vasanth released on this same day (September 6) in the year 1997. Suriya has earned himself a huge base of fans across these 20 years. From his dedication, hard work to looking young and maintaining a fit physique, he has done it all. Not to forget, his six pack abs, Suriya was one of the very first to sport a six pack after which it gained popularity and many other youngsters have also sported a six pack in the recent few years. The versatility that Suriya holds is something that has to be mentioned and his choice of roles range from mass to class. Completing 20 years in this competitive industry and convincingly staying at the top is something remarkable. Achieving this is a Herculean task and actor Suriya is one of the very few people to do this. We congratulate actor Suriya on this amazing benchmark achievement of his and wish him the best of luck for his future projects as well. Ravi K Chandran To Remake Suriya’s S3 In Hindi With Actor Sunny Deol. People looking for online information on Suriya will find this news story useful.